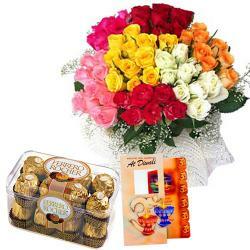 Product Consist : Diwali Greeting Card + Celebration Chocolate Pack (Weight : 118 Gms) along with Bouquet of 12 Mix colorful Roses with Lots of Green fillers. Make your diwali gifting plans special for your wife or dear one in india. Light up the diya gift the roses fill her life with sweetness. 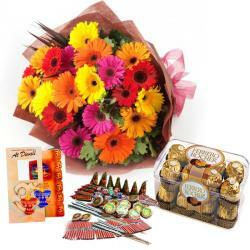 On the special eve of diwali gift this amazing surprise to your beloved one. 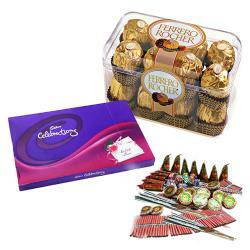 The combo contains dozen beautiful roses Cadbury celebration chocolate and special diwali card . The bouquet of roses are designed and decorated beautifully with green fillers. 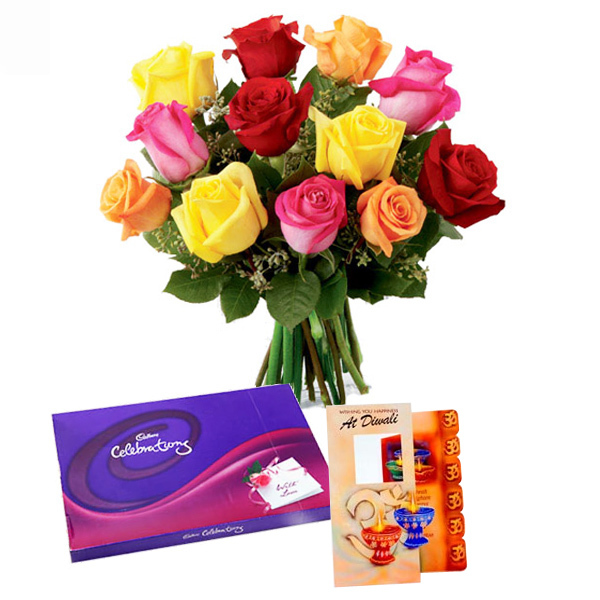 This combo represents the love and the care you have in your heart for your wife.Product Includes: Diwali Greeting Card + Celebration Chocolate Pack (Weight : 118 Gms) along with Bouquet of 12 Mix Colorful Roses with Lots of Green Fillers.